We launch the new probabilistic model checker Storm. 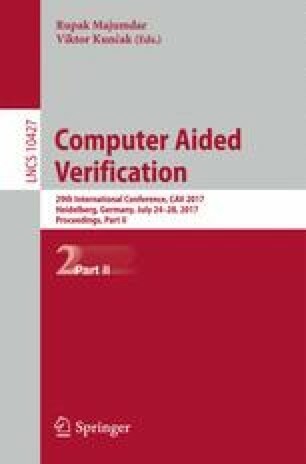 It features the analysis of discrete- and continuous-time variants of both Markov chains and MDPs. It supports the Prism and JANI modeling languages, probabilistic programs, dynamic fault trees and generalized stochastic Petri nets. It has a modular set-up in which solvers and symbolic engines can easily be exchanged. It offers a Python API for rapid prototyping by encapsulating Storm’s fast and scalable algorithms. Experiments on a variety of benchmarks show its competitive performance. The authors would like to thank people that support(ed) the development of Storm over the years (in alphabetical order): Philipp Berger, Harold Bruintjes, Gereon Kremer, David Korzeniewski, and Tim Quatmann.